Hadoop tutorial provides basic and advanced concepts of Hadoop. Our Hadoop tutorial is designed for beginners and professionals. Hadoop is an open source framework. It is provided by Apache to process and analyze very huge volume of data. It is written in Java and currently used by Google, Facebook, LinkedIn, Yahoo, Twitter etc. 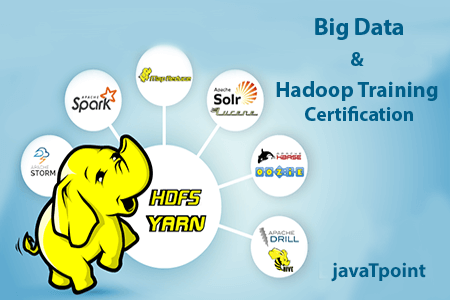 Our Hadoop tutorial includes all topics of Big Data Hadoop with HDFS, MapReduce, Yarn, Hive, HBase, Pig, Sqoop etc. Before learning Hadoop, you must have the basic knowledge of java programming language. Our Hadoop tutorial is designed to help beginners and professionals. We assure that you will not find any problem in this Hadoop tutorial. But if there is any mistake, please post the problem in contact form.